The inaugural edition of the Mt Talinis Mountain Marathon, a 2019 Asia Trail Master Candidate Race, was a success with participants applauding the organising team of established trail runner Rhodel Sarande for the course and technical management. Mt Talinis is one of the highest volcanic mountains in the Philippines at an altitude of nearly 2000m above sea level. It is located roughly 20km from Dumaguete City in Negros Oriental, a province located in the Central Visayas. It was the first time an ATM labeled race took place in this part of the Philippines. The climb of Mount Talinis is quite foresty, often foggy and has several mountain and crater lakes. The region has a very rich biodiversity but unfortunately also suffers from illegal logging - one of the reasons this event has been put up with support from local authorities, who like to drive up regional eco tourism and create alternative revenue streams for the communities. 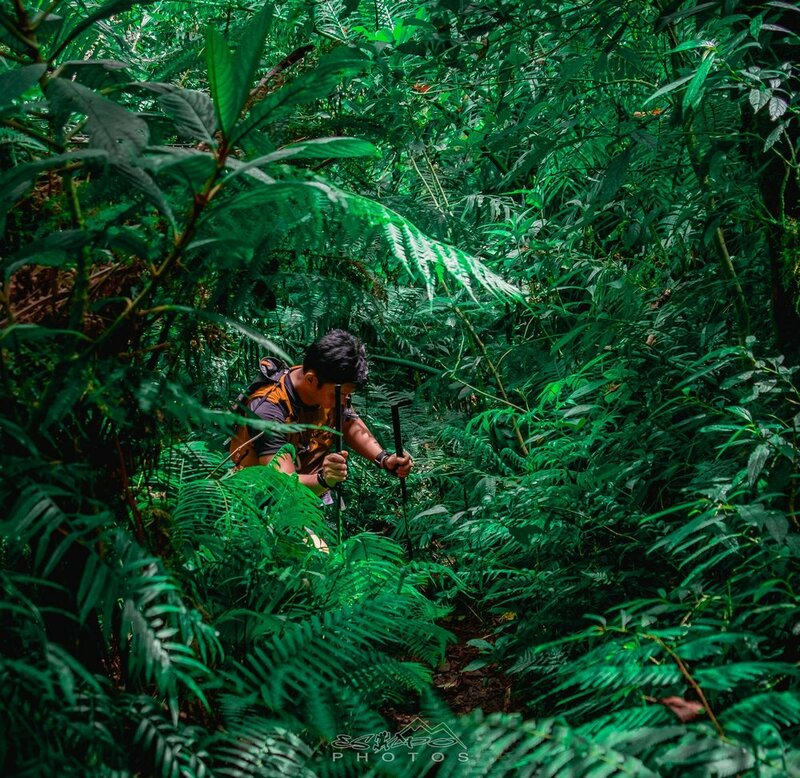 Runners had to dig deep into jungle forest - as images by Eskapo Mountaineers below show - during the ascent. The main race was indeed very technical over a length of 50 km. Fastest runner was Joseph Gentileo, a known athlete on the ATM circuit. His findings were described in an interview linked below. He finished in 9:46, roughly 15 minutes ahead of Carlo Choing. The male podium was completed by Jomar Buclay in 10:39. The women’s race saw Zha Malana take the victory in 14:40. She was followed by Maria Luisa Jaugan and Lyra Valles. Race Director Rhodel Sarande has confirmed the event will take place on the same weekend in 2019, i.e. 5/6 October 2019. Following the positive feedback we are also happy to lift the option and develop the Mount Talinis Mountain Marathon as a new points race in the 2019 Asia Trail Master Championship series. More details on next year’s event will become available in due course. Press article about race winner Joseph Gentileo. Mt. Talinis Mountain Marathon 2018 from Tatsuo.Cham on Vimeo. 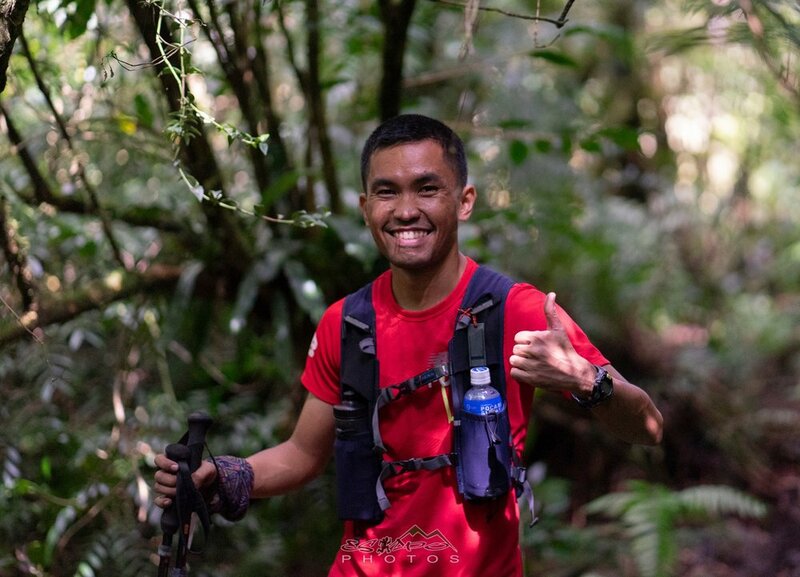 We are happy to announce another 2019 Asia Trail Master Candidate Race that will increase the diversity even more in our series, and particularly in the Philippines. The Mount Talinis Mountain Marathon is organised by an experienced team of runners and event managers in the Negros Oriental region of the southern Philippines. Effectively, this will be the first time ATM ventures outside of Luzon and Mindanao and giving local runners in the Visayas an opportunity to shine on the international stage. Host town is Valencia Public Plaza on Negros Oriental. Mt Talinis Mountain Marathon of course features the ascent of the volcano Talinis as highlight of the 50km race this year on 6/7 October. Talinis, also known as Cuernos de Negros (Horns of Negros) is 1903m high and is located roughly 20km from regional capital Dumaguete City. The climb is quite foresty, often foggy and has several mountain and crater lakes. The region has a very rich biodiversity but unfortunately also suffers from illegal logging. Another good reason to mark this event in your calendar and show the local communities that the national parks are a major asset long-term. This year it's a 50 km race (CUT 18 hours) that starts at 11 pm. For 2019, a Grandmaster Quest distance is envisaged of 70 km. There's two airports nearby: previously mentioned Dumaguete and also Mactan, which even hs international flights.